It’s your job to make a great movie. It’s my job to prepare that movie (and you) for the festival circuit. Put my festival knowledge, industry connections, and film marketing expertise to work for you. 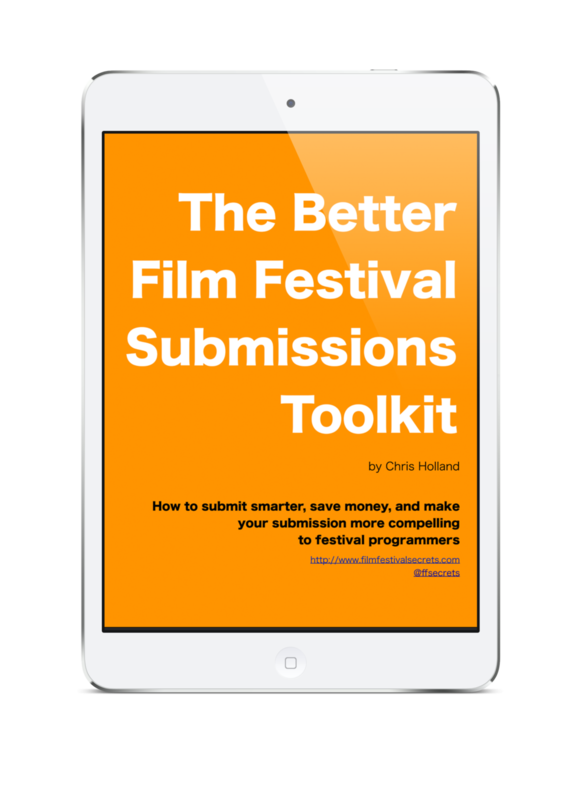 Get Feedback About Your Film From A Festival Expert. See your film as a festival programmer sees it. Every programmer has different tastes, but there are certain elements that they all look for. Find out how your film stacks up. Split up your phone consultation time into 30-minute chunks, so when a tricky question arises, you can get the advice you need. Consultation sessions start as low as $40 and can be tailored to your specific needs. If you're looking for immediate help with your film's festival strategy, you can book a 30-minute or 1-hour call below. If you decide to work with me on an in-depth strategy for your film, the cost of this “pay as you go” call can be applied to one of my comprehensive consulting services. Alternately, you can send me a quick message and I'll follow up by email. • Will you watch my film before we talk? I can watch a trailer for your feature or up to 10 minutes of a short or feature to get a feel for the film. The “pay as you go” calls are designed to be discussions about the festival circuit and your film’s place in it. • I can’t find a time that works for me on your calendar. Can we arrange a different time? Of course. Send me an email and we’ll work out an appropriate time outside of my usual call hours. • Can we talk on Skype instead of the phone? My new short film, Showstopper, hit a few brick walls when I submitted it to festivals. My previous film played Slamdance and other fests but those festivals didn't seem interested in Showstopper. When I first encountered Chris' site and learned about his services, I was worried that a festival strategy consultation would be insubstantial or cookie-cutter, or worse – that it wouldn't help. I knew going in that Showstopper was different from other short films (it's funny, but in a dark and weird way), and I didn't know if Chris could help me connect my film to festivals that would understand it. There was nothing but positive stuff about him out on the interwebs, though, so I gave it a shot. Chris' feedback was clear and thorough, and very personalized – nothing cookie-cutter about it. He knows his stuff inside and out, and gave me an objective perspective on my film (that was positive!) that really helped me understand where my film and I stood on the film festival landscape. Best of all, Chris was incredibly supportive. He's a solid guy, and his encouragement gave me a much-needed burst of confidence. My film has since gotten into 3 festivals and won an award, and I'm submitting to more. I'm not sure it would have happened without his help. When we finished making our genre short The Landing, we knew we had a great film but we didn't know where it fit on the festival landscape. We knew we wanted a fresh point of view from someone who intrinsically knows the festival world inside and out. We also wanted an American perspective on the film, which was an Australian production masquerading as an American one. Once we started working with Christopher, we got the feeling that he really wanted to find the best angle for marketing our film, probing it in a deeper way than we had ourselves as the filmmakers. I was initially unsure whether we should approach genre fests early in our festival run. With his knowledge of the industry and our film's strengths, however, Chris steered us towards prestigious genre festivals in addition to traditional fests. Consequently the film's world premiere will be at Sitges in Spain, one of the best genre festivals on the planet. Christopher's continued advice after our initial consultation has been critical to our understanding of the politics and etiquette of film festivals and their premiere requirements. With our launch at Sitges and subsequent acceptances at the Austin and Warsaw Film Festivals, my team is feeling confident that we have a fantastic festival run ahead of us.